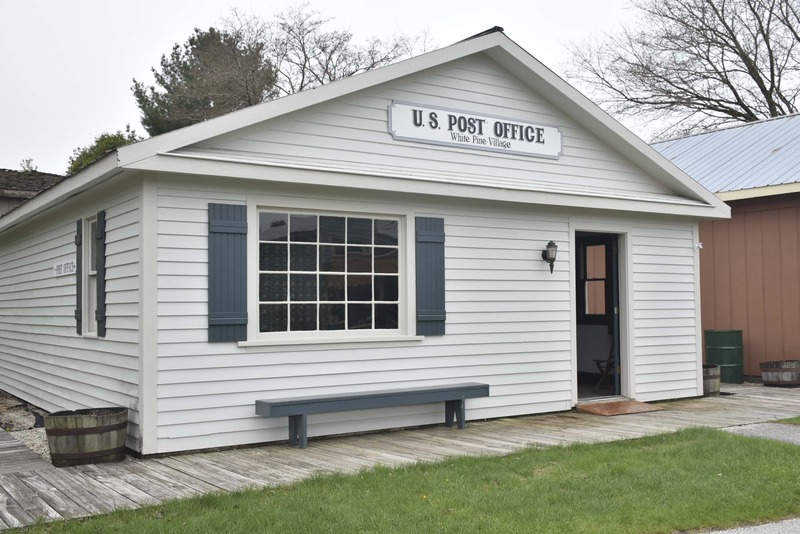 The first settlers of Western Michigan experienced great difficulty in keeping up their postal communications with the outer world. In 1853, the settlers hired a man to go for their mail at a cost of 25 cents for each letter he carried out, and 12 ½ cents for each letter he brought back. Postage was 25 cents on an ordinary letter, so it cost 50 cents to send out each letter. After 1900 rural delivery was established gradually, where roads permitted, using the horse and buggy or wagon. There are many stories told by the carriers about muddy roads and bad weather! 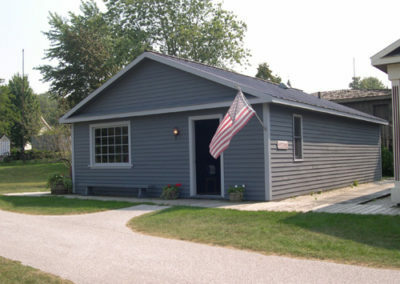 Guy VanNortwick was postmaster in Pentwater from 1956 until his sudden death in 1974. At the time he became postmaster, the contents of the post office had to be purchased from each proceeding postmaster, and Mr. VanNortwick was no exception. 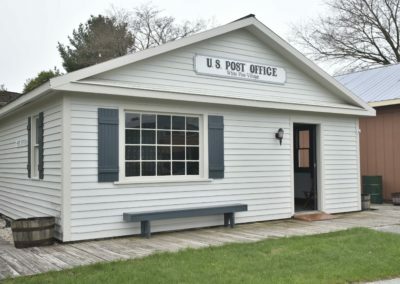 When the new Pentwater Post Office was built in 1971, the government furnished it with all new equipment and the old furnishings were Mr. VanNortwick’s to dispose of as he saw fit. It was his wish to keep all this intact and to donate the equipment to a local museum. 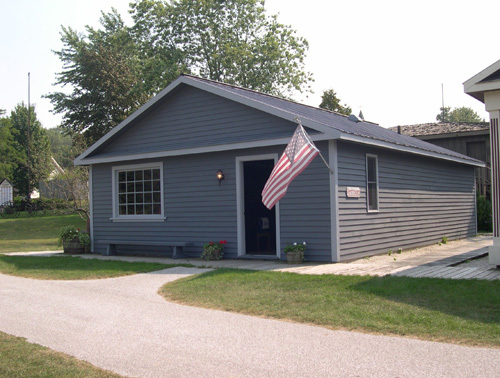 After his death, his wife Mary Lou VanNortwick donated them to White Pine Village. These furnishings even included the old leather saddlebag, which was used by the pony express riders who rode along the Lake Michigan shore to Pentwater!